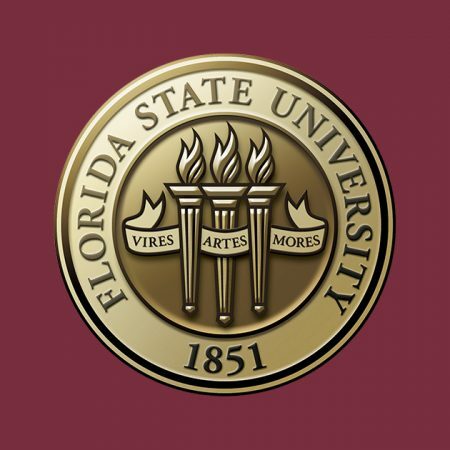 Florida State University President John Thrasher today received recommendations and findings concerning the names of Francis Eppes and B.K. Roberts from the President’s Advisory Panel on University Namings and Recognitions. The panel approved its recommendations during its May 4 meeting. The panel voted to recommend the removal of the statue of Francis Eppes from its current location on Westcott Plaza. The panel also voted to remove Eppes’ name from a campus building on the north side of Westcott Plaza. The grandson of Thomas Jefferson, Eppes was recognized by the university for his efforts as Tallahassee intendant (mayor) to establish the Seminary West of the Suwannee River in the capital city. Those recognitions have come under criticism in recent years by members of the student body and the community because of Eppes’ ownership of slaves on his Florida plantations. The panel also voted to recommend Thrasher ask the Florida Legislature to remove the name of former Florida Supreme Court Chief Justice B.K. Roberts from one of the buildings housing the College of Law. The Florida Legislature designated the building as B.K. Roberts Hall in 1973 in recognition of Roberts’ efforts to help establish the college. As a result, removing or changing the name of the building would require an act of the Legislature. The panel has no formal authority and serves only in an advisory capacity. Thrasher is expected to announce his decisions in the coming days. He has the option to accept, modify or decline the panel’s recommendations. Thrasher formed the 15-member panel consisting of faculty, student, staff and alumni representatives in September 2017. The panel’s creation followed Thrasher’s condemnation of violent acts in August 2017 by white supremacists in Charlottesville, Va., and his pledge to the FSU community to protect free speech while ensuring the safety and well-being of students, faculty and staff. The panel first convened on Oct. 30, 2017, and met nine times throughout the academic year. In February 2018, Thrasher requested the panel focus its initial efforts on examining the Francis Eppes statue and the names of Francis Eppes Hall and B.K. Roberts Hall. The panel hosted five public comment forums in February and March to seek input from the university and local communities.